After four weeks here at the shore of the Baltic Sea and with the ambiguous feeling that the time passed both very slowly and very fast, it is time for a short resume. I think we can proudly look back on a very successful campaign. 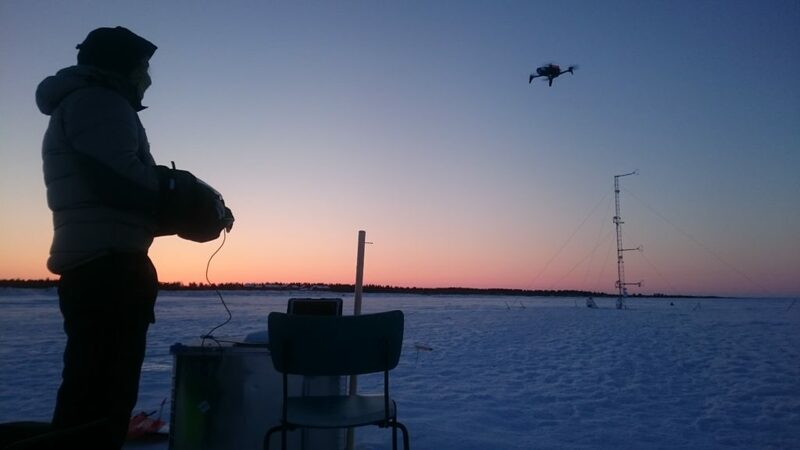 Thanks to the passion and commitment of more than 25 scientists and students, and the caring logistic support of Hannu, Sanna and Pekka, our hosts here at Marjaniemi, we could collect a unique data set for the characterization of the stable atmospheric boundary layer. Our ground based instrumentation was, except for a few smaller hick-ups, working stable and reliable. The two sodar systems provided for around 500 hours of nearly continuous background information on the wind field and its turbulent characteristics and were, online presented, a highly appreciated source of information for the mission planning and preparation of SUMO and quadcopter flights. Our two eddy-covariance sites were also running rather stable, except for some strange and unpredictable episodes of “freezing” of several channels on the 10 m mast, resulting in the registration of constant values over time. The fast response water vapor and CO2 measurements by the two LICOR 7500 gas analyzers and the radiation measurements were partially disturbed by icing and riming. During 7 IOPs a total of more than 350 scientific flight missions by the different UAV systems were performed. Thus this ISOBAR campaign might be the, or at least one of the, atmospheric boundary layer field campaign(s) with most excessive use of unmanned research aircraft. Most of these flights were dedicated to atmospheric profiling of the atmospheric surface and boundary layer. In addition there were specific missions for infrared surface temperature monitoring, hyperspectral imaging for high-precision altimetry, CO2 monitoring and turbulence profiling. Thanks again to everyone making this successful campaign happen!